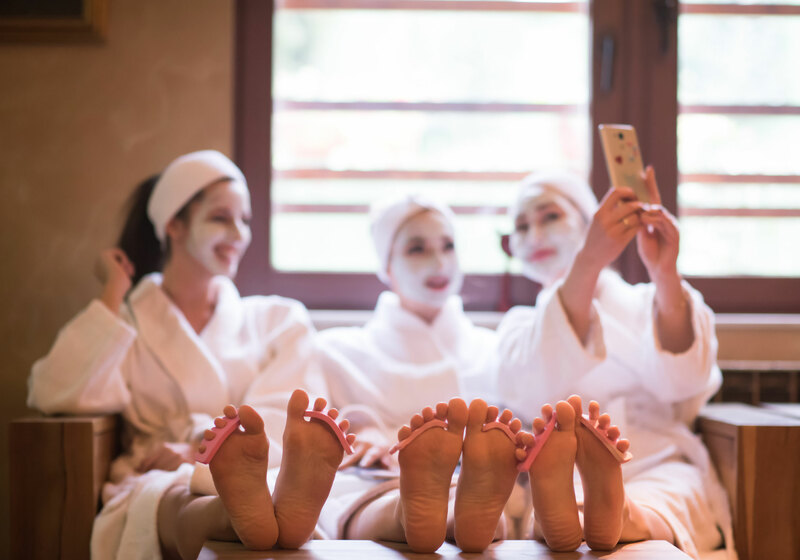 No matter the occasion, a spa day at Del Mar Nails and Spa is always the perfect getaway for your group. Whether you’re celebrating something special or just spending the day together, we invite you to join us for a relaxing treatment everyone in your party will enjoy. We can easily accommodate a group of up to 10 people and programming on the HDTV may be selected by the attendees. $100 deposit required. Minimum of 72 hours cancellation notice required for refund. If you or someone you love is getting married, visit us and see why Del Mar Nails and Spa is the perfect destination for your bridal party. Our team creates memorable parties for our bridal clients 2 to 3 times a month. It is always a fun experience and the staff loves being included in the joyous atmosphere. This is a great gift idea for the attendants of the Bride and Groom. Interested in planning your party? We can accommodate groups of up to 10 people. Wedding coordinators and planners, simply call and ask for Megan.